Despite clinching enviable heights in the local and international music scene, Starboy Wizkid is not resting on his oars. Baba Nla still hits the studio to produce hits as usual. 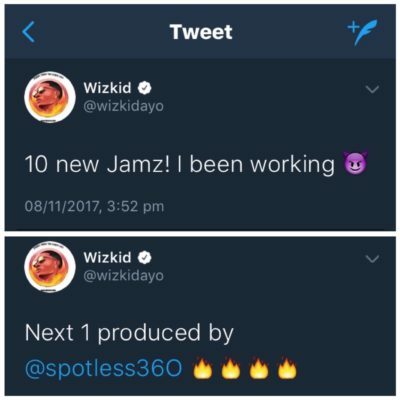 In a recent teasing tweet, Wizkid reveals the readiness of 10 new songs with a follow-up tweet of the one dropping soon which is produced by a mentioned twitter user @spotless360.